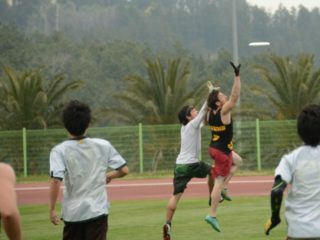 Ben Wiggins replaced basketball with Ultimate as a freshman at the University of Oregon in the fall of 1998. In 2003, Oregon again took the single bid from a strong field that included the defending champs and made it all the way to the National Final, before which Wiggins was voted as a Callahan Award winner (the College National MVP). Having played several club seasons with Portland's Axe (the precursor to Rhino), Ben moved to Seattle and joined the team for Sockeye's first title run in 2004. 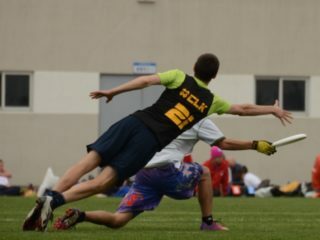 As a captain and primary offensive handler, Ben would go on to win two more UPA championships with Sockeye (in 2006 and 2007) as well as two silver medals at World Championships (first with Sockeye at Team USA in 2008, and then with an extremely young and unheralded Sockeye squad in Prague 2010, where the team won the world Spirit Award as well). After helping to develop the Moho youth Ultimate program from 2004-2008 which sent many players on to Sockeye and Riot, Ben was an assistant coach with the 2004 US Boys gold-medal-winners in Finland and coached the Seattle YCC Boys team to a National Championship in 2005. He has also coached Seattle-area teams Viva and Underground (club women) as well as the Western Washington University men's club. 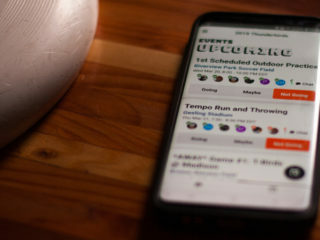 Along with Andy Lovseth, Ben founded and ran The-Huddle.org, a high-level strategy and tactics online magazine for Ultimate. 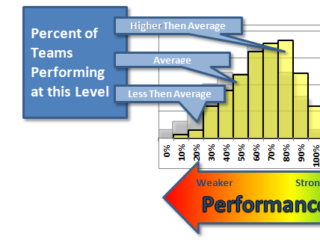 He has run coaching clinics in the Philippines, Colombia, Moscow and Siberia, Ireland, Japan and the Czech Republic. 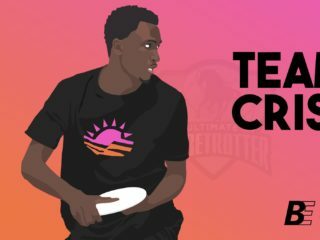 Currently, Ben is retired from playing Ultimate (too many concussions) but coaches the second men's team in Seattle (Voodoo) and is finally back to playing basketball on a daily basis when he isn't looking for the next international coaching opportunity. Business as Usual in 2012?